Now the challenge becomes how to get past the predisposition that you inserted that there is a shark in the picture 🙂 At this point, my eyes are still crossed! This one is very elusive, not very clear at all. 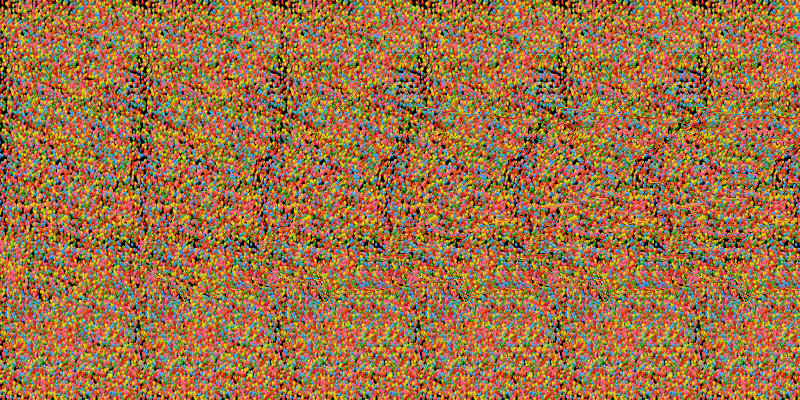 I used to create these stereograms 15 years ago … seldom with amazing results, but I have no idea anymore how I did it. I’ve tried with glasses on and off. Bert saw it so I guess I’ll keep trying. I think I’ll just Google a picture of a shark . . . don’t want to tax myself too much! Sounds good to me …. Seeking is of the mind. The path is the Search! Without seeking, only experiencing so many discoveries. Thanks for your thoughts….I appreciate them. with my less than perfect binocular vision I’ve never been able to see these images, but i enjoy hearing other’s conclusions. okay, I see a small owl up towards the right corner wearing a night cap! I am usually good at these LOls.. I will be back to look tomorrow…! I’m too tired, thats my story and I am sticking to it !